Starring Helmut Berger, Herbert Lom and Maria Rohm. 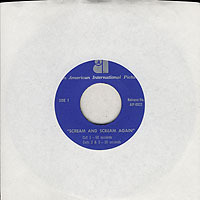 One-sided 7" record that includes two different radio ad spots, one 60s and one 30s. Starring Peter Cushing, Christopher Lee and Vincent Price. 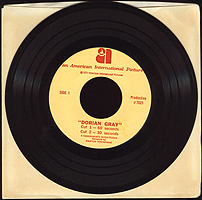 One-sided 7" record that includes three different radio ad spots, one 60s and two 30s.